The track car has some battle wounds and I think it’s time to wrap it. 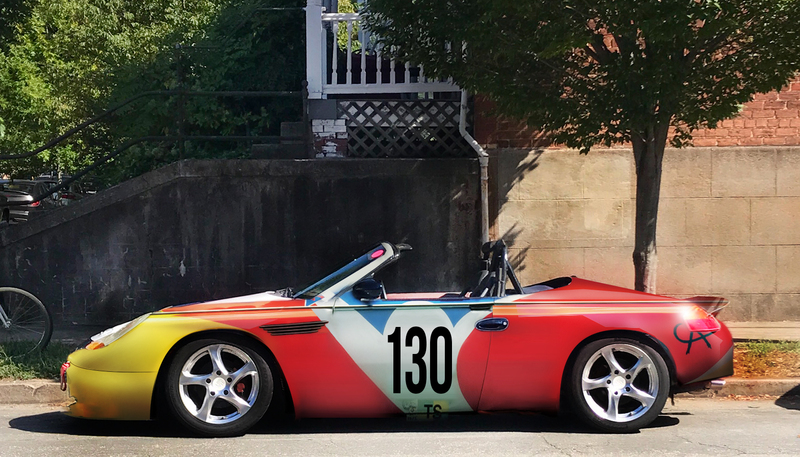 I’ve always loved the BMW art cars and I’m leaning towards replicating this wrap. Before I make the “investment” I’d like to get an idea of how it would look. Anyone up for photoshopping it onto a Boxster? Last edited by truegearhead; 12-07-2017 at 02:54 PM.